Ensuring That Your Property is an Asset & Not a Liability is Our Top Priority. When a tree on your residential or commercial property is rotting, diseased or otherwise damaged beyond repair, contact our professional Tree Removal service for a free on-site consultation. 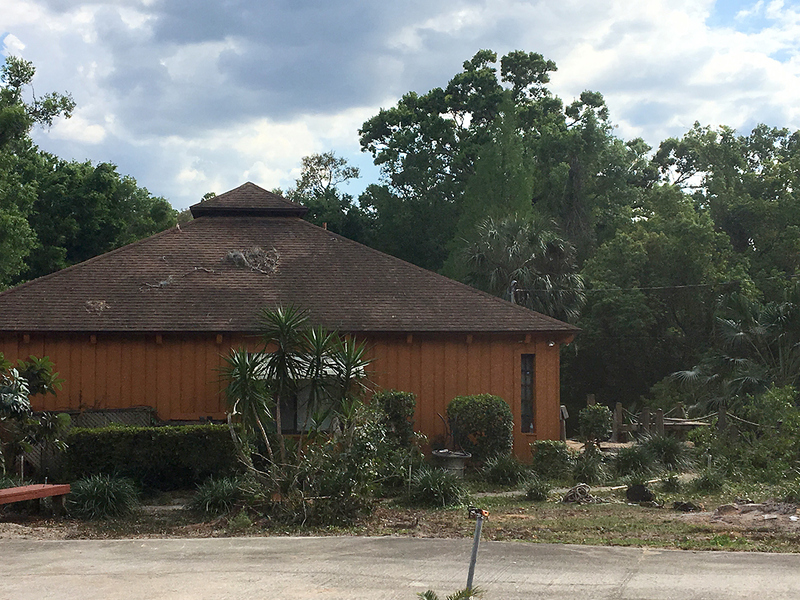 We provide Tree Removal in the areas of DeLand, Orange City, DeBary, Deltona, Port Orange, Daytona Beach, Lake Mary, Sanford, Longwood, and neighboring Volusia and Seminole Counties. Rotting or diseased trees can become very weak and unstable and could fall at any time - potentially resulting in life-threatening injuries and extensive property damage. And the taller the tree, the harder they fall. Our professional tree removal team is available to remove small trees and tall trees in any location or terrain, 24 hours a day, 7 days a week. Large Tree removal is complex and dangerous work that should only be done by seasoned professionals with industrial tools and heavy-duty equipment. These large trees require careful dismantling to ensure their safe removal and the protection of you home and property. Also, depending on the size and location of the tree, a bucket truck with a 60-foot boom may be necessary to safely cut down these trees, piece by piece. Our tree removal service includes all the necessary man-power, tools and equipment needed to safely remove the large tree and then perform clean-up. Stump removal and grinding is also available. Removing small to mid-size trees from your property can be just as dangerous as removing large trees. While small tree removal may not require a bucket truck with a 60-foot boom, the removal should still be done systematically by a professional tree services company that is licensed and insured, because most standard tree removal requires the tree removal professional to work around other valuable plantings and structures. After a tree is removed its stump is still deeply rooted in the ground and should be removed. Trees have complex root structures and these stumps may not only be unsightly in your yard, they can be dangerous when someone trips and falls over them, especially at night when they are more difficult to spot. During the stump removal process, we mechanically grind and chip the remnants leaving the ground in pristine condition. In our sub-tropical climate, lightning and strong winds can occur at a moment’s notice that can destabilize and down trees putting lives and property at risk. 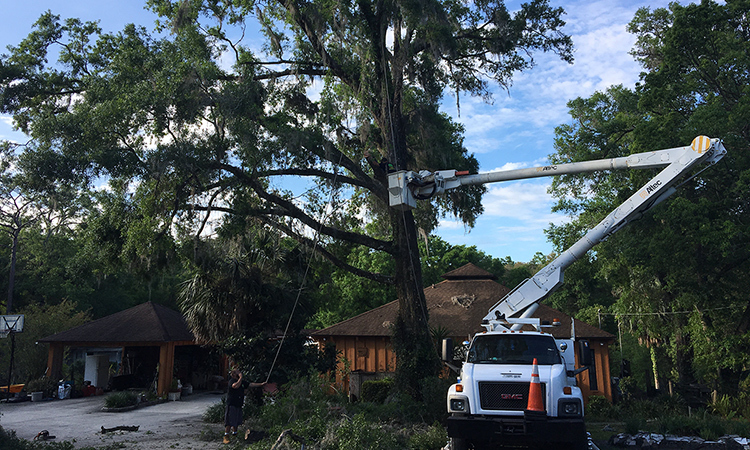 Call Tucker’s Tree for 24-hour emergency tree removal throughout Volusia County. We also provide storm debris removal service for trees and branches brought down during violent storms. 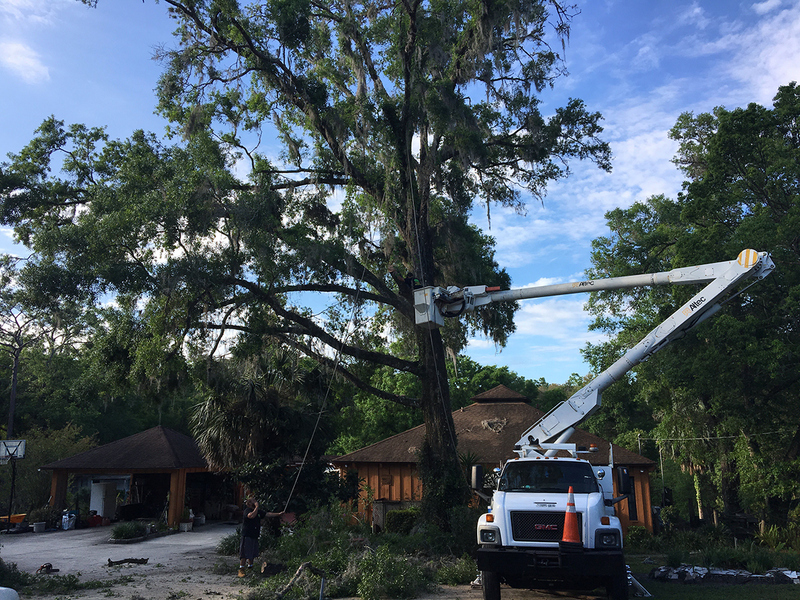 Tucker’s Tree and Bobcat Services operates in all of Volusia County and Seminole County including Daytona Beach, Edgewater, DeLand, Orange City, Deltona, DeBary, Port Orange, Sanford, Lake Mary, Longwood and other surrounding cities. For more information about our tree removal services, or to schedule an appointment with one of our tree services experts, call 386-804-0370 today! Free estimates are available. 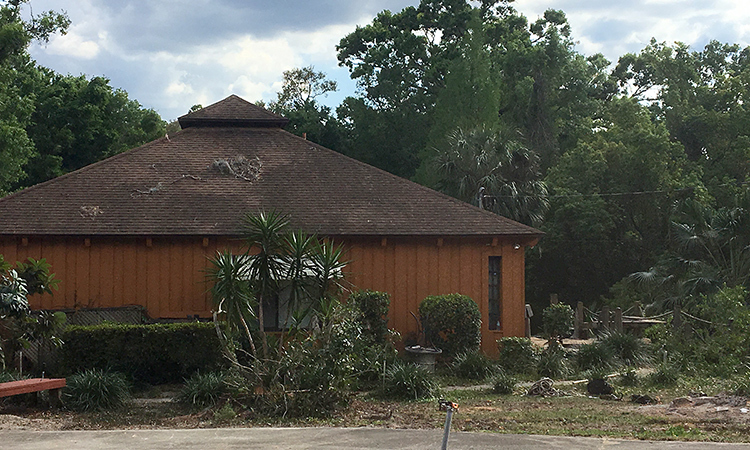 Tucker's Tree provides tree service, stump grinding and tree trimming to all Central Florida areas including, but not limited to, Orlando, Lake Mary, Longwood, DeLand, Daytona Beach, DeBary, Orange City, Port Orange, Deltona and beyond.